Home » Manufacturer » Sifter Parts & Service Inc.
Sifter Parts & Service, Inc. manufactures a BISSC certified gyratory sifter of all metal construction. The stacked deck CS-1, formerly Allis-Chalmers, then Ferrell-Ross, accurately sizes dry, free flowing products from 1/4" in size down to 400 mesh with a capacity of up to 50,000 pounds per hour. This sanitary sifter has the smallest footprint in the industry today, offering up to 35 square feet of screening area and providing 2, 3, or 4 separations. 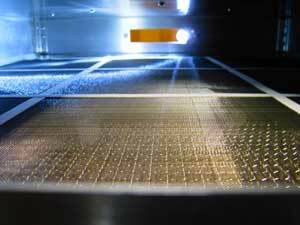 The CS-1 is a tried and true unit that has long served many industries looking for accurate particle size separation. 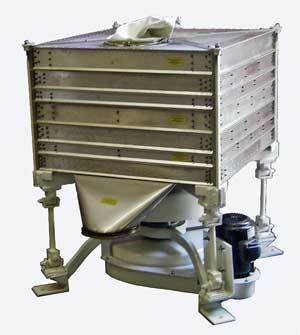 Additionally the RS-1 stainless steel portable reclaim sifter is ideal for sifting small batches of dry ingredients. 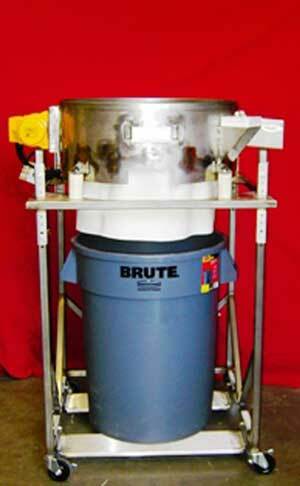 This versatile sifter is capable of batch sifting up to 600 pounds an hour and may be operated sitting atop a drum or using the optional adjustable rolling base for easy relocation around the plant.